Hip hop’s influence has permeated territories far removed from its Bronx origins, spawning creative and surprising fusions that strengthen the art form’s global reach. Case in point: Anton Ivanchenko, residing in the southwestern Siberian city of Omsk, has been obsessed with funk, hip-hop, and b-boy culture since the ‘90s. Presently, he’s been channeling this obsession into his exciting project LTF (Light The Fuse). Aided by deft skills on turntables, acoustic bass, and digital sampler LTF has produced a handful of sublime 7” singles. Now he’s turned to The Content Label to reveal his debut full-length album, Jazz Echo. 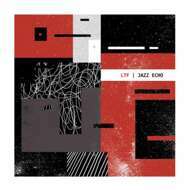 LTF’s Jazz Echo is released on The Content Label on vinyl and digital formats. Original artwork and design are by Lautaro Pesano and the project is executive produced by Dday One.